Best New Beauty Products | Couture Makeup Blog - Makeup Artist Serving San Diego and Orange County. Spot-treating blemishes has never been a discreet or on-the-go act. The whole process, of having to commit to a night spent with pink or white drying lotion dotting your face and flaking on your pillow just to shrink a pimple in a day’s time, was in desperate need of an upgrade. Thankfully, it’s finally gotten one—in potent sticker form. Tear open a sheet of the treatment dots and peel them off like you would those old-school Candy Buttons, then slap them anywhere you have acne or feel inflammation brewing and leave on for eight hours. The patch locks the salicylic acid, tea tree oil and hyaluronic acid in and delivers it deeper into your skin to fight flare-ups faster than traditional methods. My only caveat, what makes those ugly pink drying spot treatments so effective is the sulfer and other ingredients that all the other acne shelf products don’t contain. Bottom line, if salicylic acid works for you, this is a genius product. Personally it does nothing for my skin. Everyone is different! 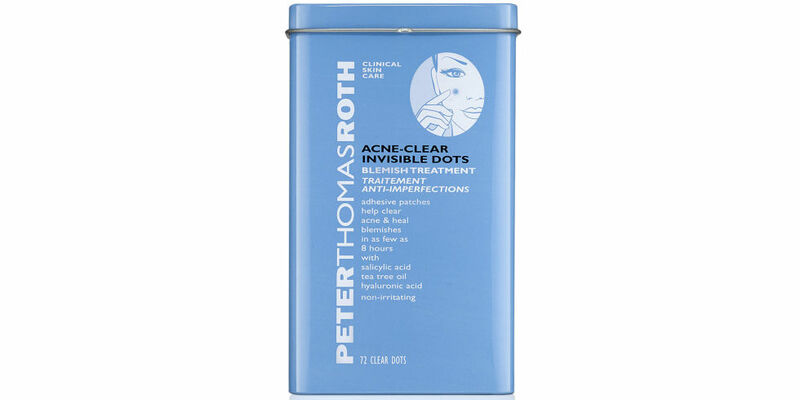 Peter Thomas Roth Acne-Clear Invisible Dots, $30, sephora.com. ​I fall in love with a lot of body scrubs, it’s true, but I’m not being hyperbolic when I call each one “the best.” The thing is, they all satisfy different needs: This one wakes me up in the morning like no other beauty product can, plus its cleansing agents eliminate the need for body wash; This one does the work of a spa-grade service and is my go-to before self-tanner application. 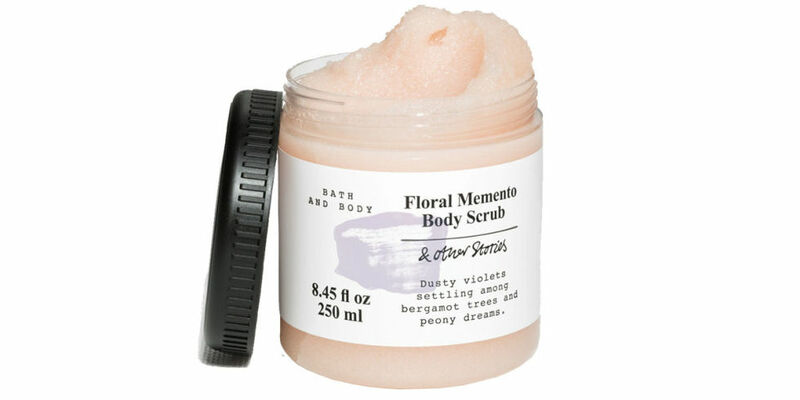 And when I want a heady dose of perfume along with my exfoliation, I reach for & Other Stories Floral Memento Body Scrub. “Dusty violets settling among bergamot trees and peony dreams” is the poetic scent description given; to me, it smells like hundreds of delicate flower petals have been muddled into a vat of sugar. It’s so intoxicating that I find myself using it just as much as a calming aromatherapy treatment outside the shower, opening it just to breathe in deeply. & Other Stories Floral Memento Body Scrub, $15, stories.com. Dedicated lip scrub—if I had to guess—is not something most people have in their showers or medicine cabinets. Lip exfoliation just isn’t talked about the way body or face exfoliation is; you probably just grab a cheap toothbrush or washcloth and rub it against any flakiness in the winter or when your lipstick isn’t going on smoothly. And that’s fine, but once you find a really great lip scrub—one that has just the right mix of gritty, grainy texture and softening oiliness, plus smells and tastes so good you won’t be able to help eating a little of it (and that will be okay because it’s made with natural ingredients)—you’ll wonder how you ever went without it. Sara Happ’s is that one. I’ve been using her scrubs almost daily for years and every time I run out, I feel anxious, like a key step in my routine has been thrown out of whack. Peony, the newest flavor, is the first that isn’t fruity or sweetly gourmand—it just might be my favorite. Sara Happ The Lip Scrub in Peony, $24, nordstrom.com. For the last few months, I’ve been on a quest to get those perfectly gritty, textured, model off-duty waves without ever taking a curling wand to my head. For a while, I was going to sleep with two pigtails and unwinding them in the morning, but too often it led to weird kinks and cowlicks. Sleeping in a French braid gave better results, but a little too much volume up top. Then, I made the breakthrough tweak: Instead of pulling my hair back and beginning to braid back from the top, I part it down the center and start the French braid at ear level, mist it with Oribe Thick Dry Finishing Spray and wake up to rumpled waves that start at just the right place and hold all day. It sounds like nothing, but I’ve never gotten so many compliments on my hair. The thing with Oribe is this: Editors rave about it constantly for a reason—it really is one of the best. And though the signature scent alone has a cult following, so much that there’s a perfume version, it’s just too overwhelming for me. So when I ran out of it recently, I decided to hold off on replacing it and instead try every other dry shampoo and texture spray in the beauty closet. 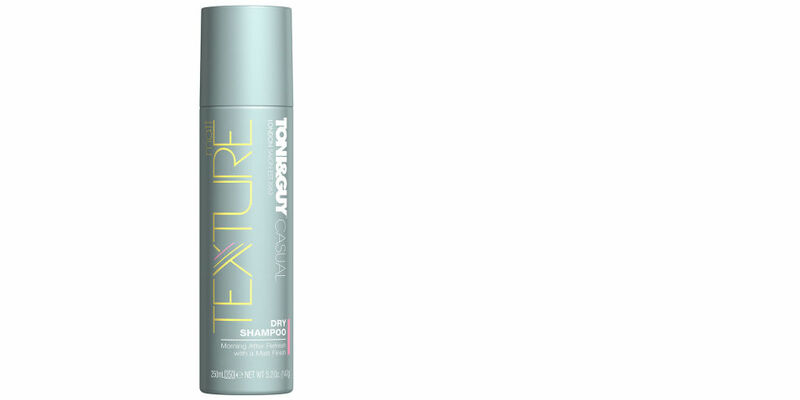 The clear winner was Toni & Guy’s Matt Texture Dry Shampoo. First, it sprays on 100% clear—something many promise, few deliver. Second, it does the oil-absorbing, hair-refreshing work of a dry shampoo, but also creates the tousled, messy texture you get from a great salt spray. Finally, the scent is so clean and light and citrus-y that it really, truly does make your hair smell freshly washed days later. The true sign? I spray it on like crazy at the office and instead of complaining of headaches, everyone comes over to borrow it.